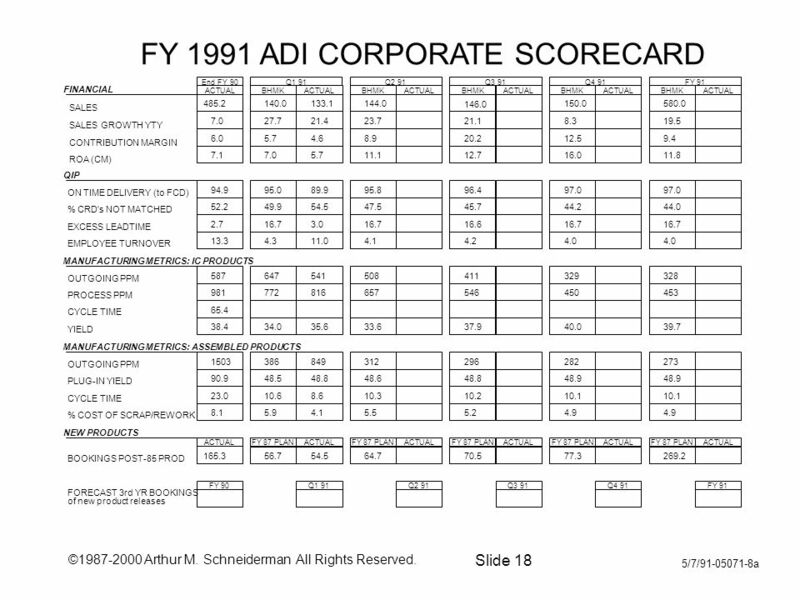 ©1987-2000 Arthur M. Schneiderman All Rights Reserved. 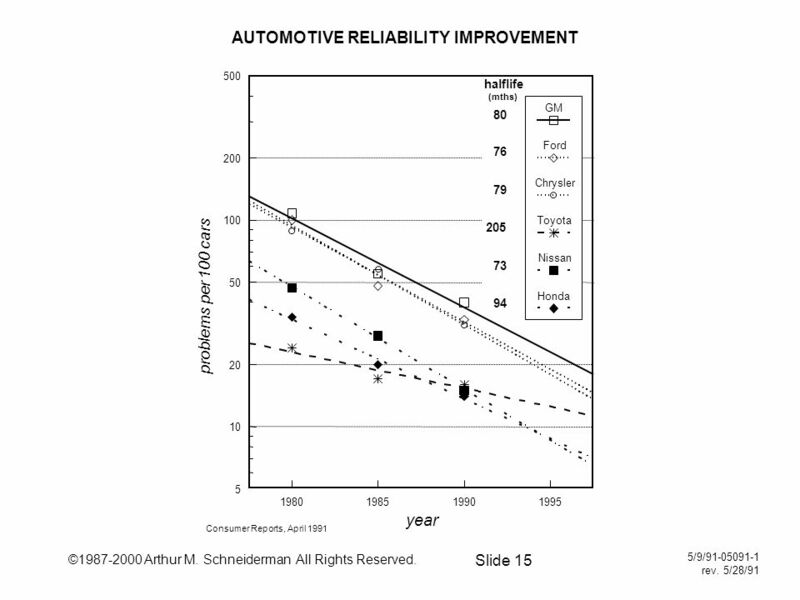 Slide 1 2/13/90-PREZ-1 rev. 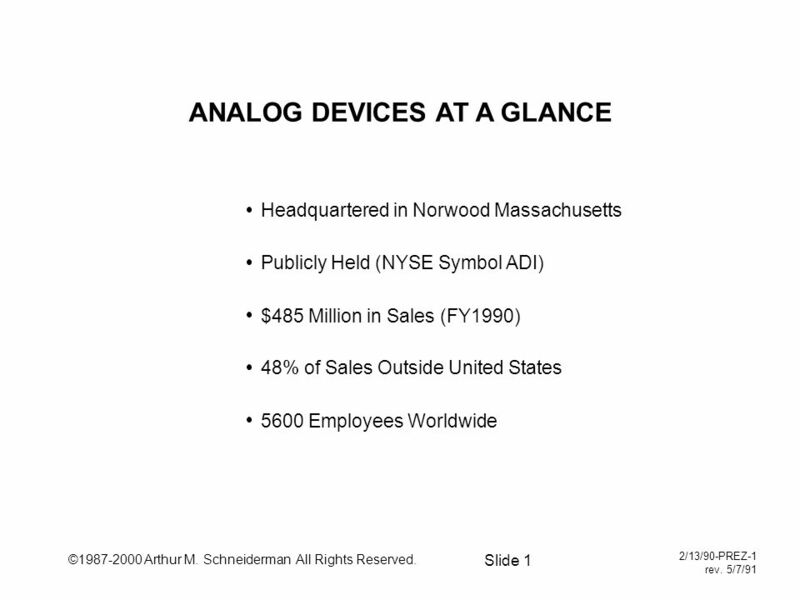 5/7/91 ANALOG DEVICES AT A GLANCE Headquartered in Norwood Massachusetts. 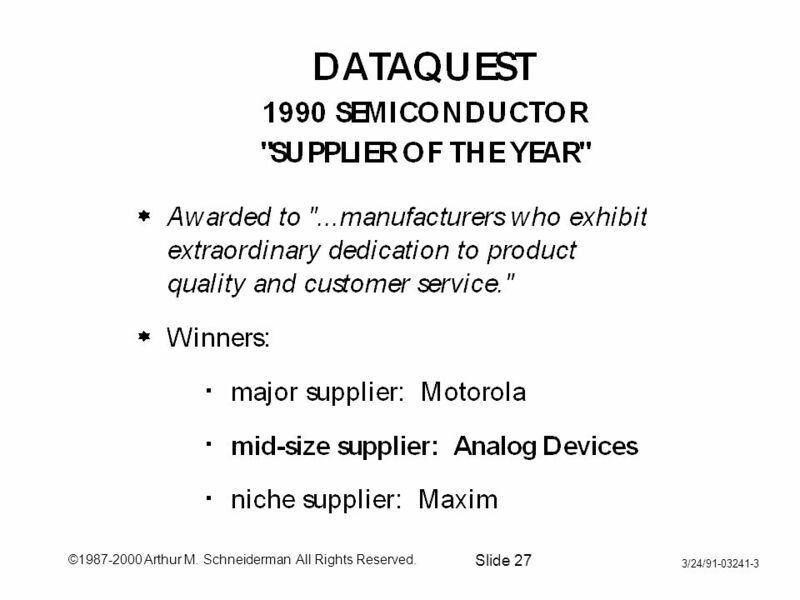 19 ©1987-2000 Arthur M. Schneiderman All Rights Reserved. 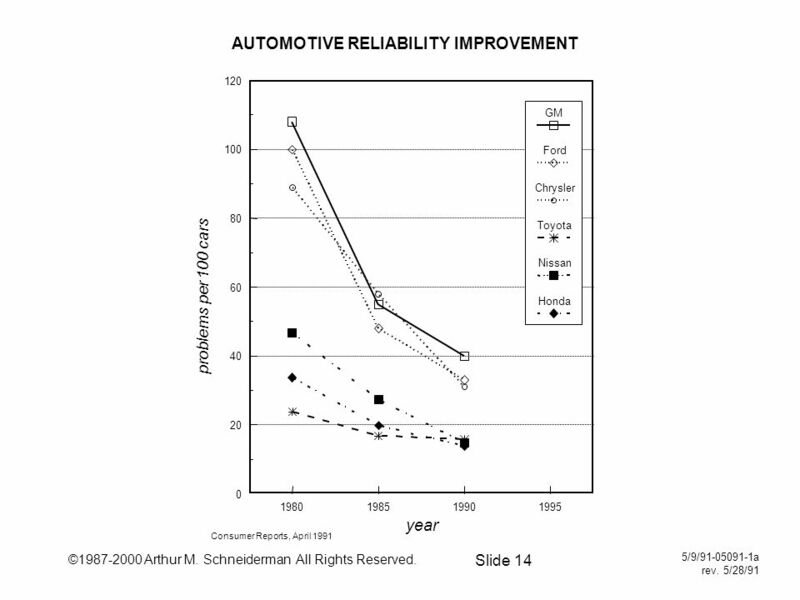 Slide 19 5/22/90-05220-4 rev. 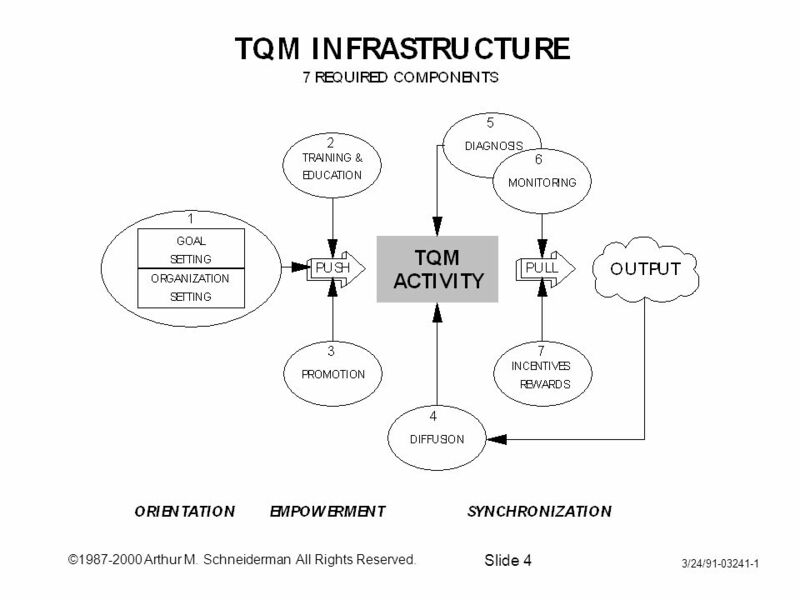 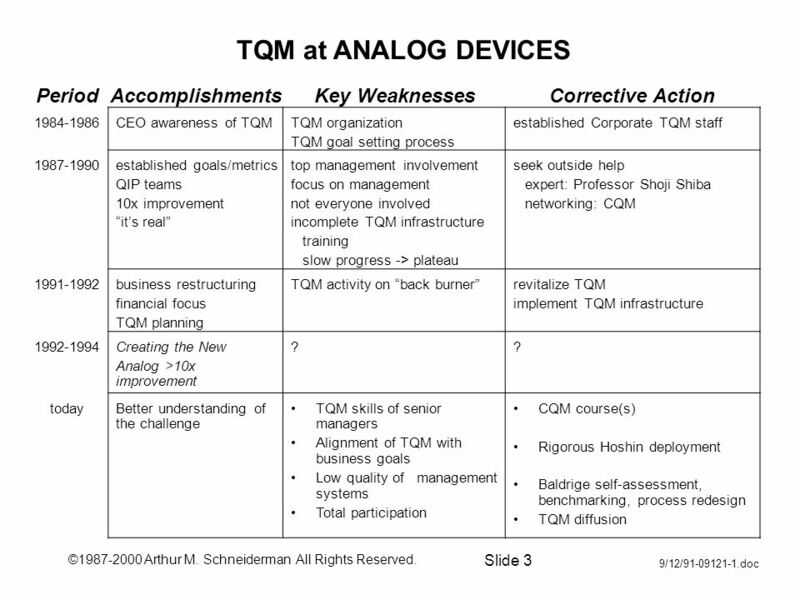 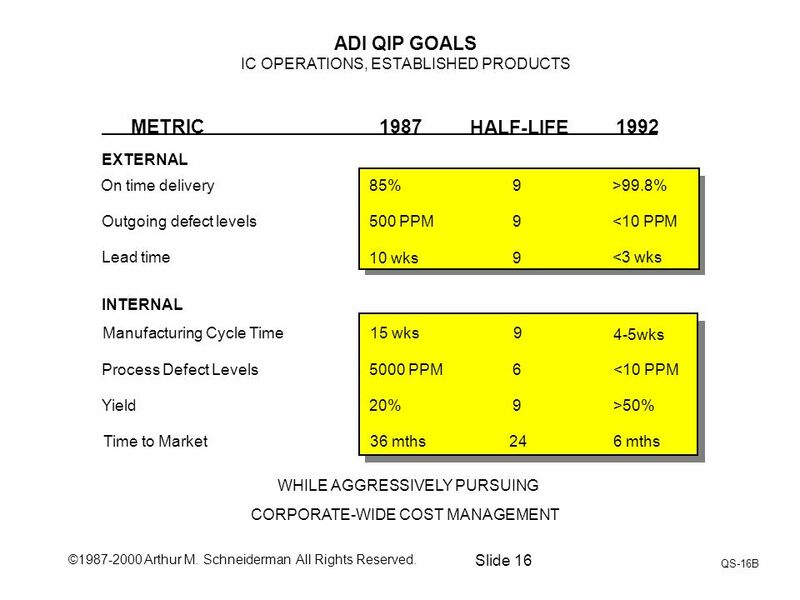 5/7/91 GOALS IS culturescorecard projects METRICS SOLVING PROBLEM PERFORMANCE MEASUREMENT does not mean measurement improvement + monitoring If you don't monitor it, it will get worse. 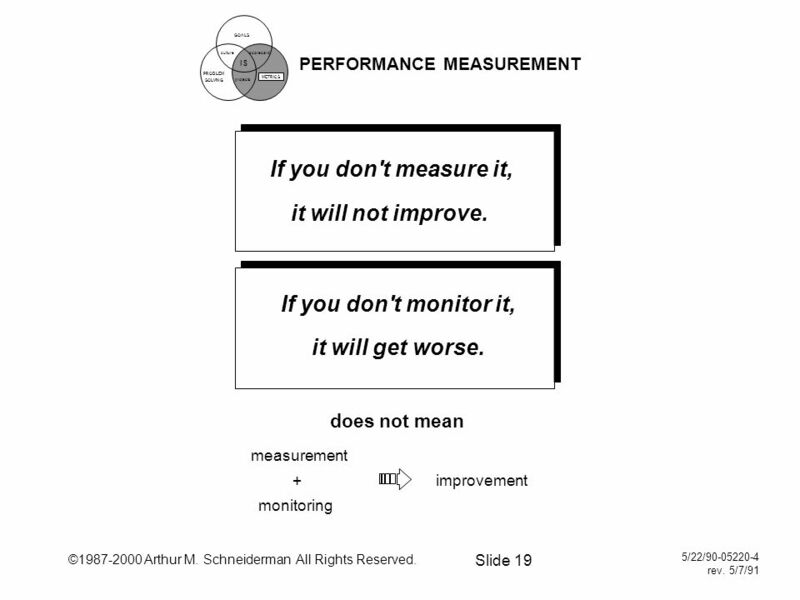 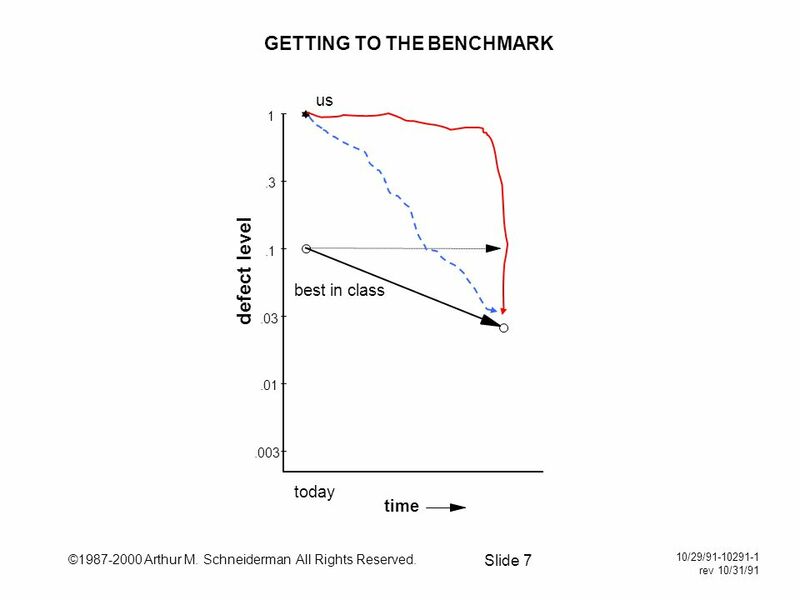 If you don't measure it, it will not improve. 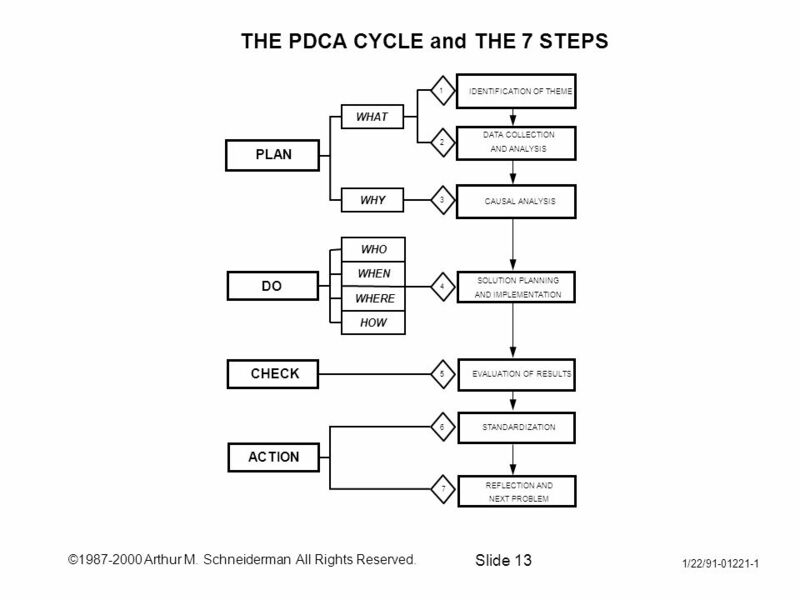 Download ppt "©1987-2000 Arthur M. Schneiderman All Rights Reserved. 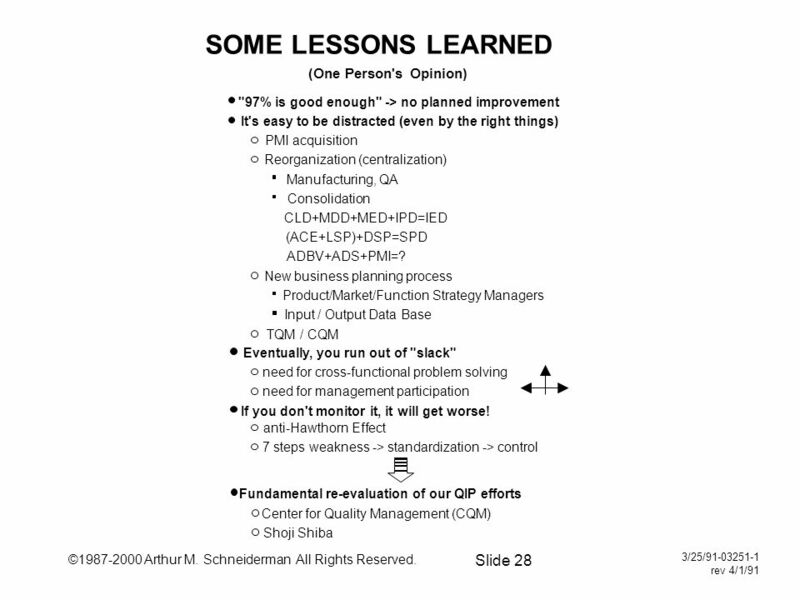 Slide 1 2/13/90-PREZ-1 rev. 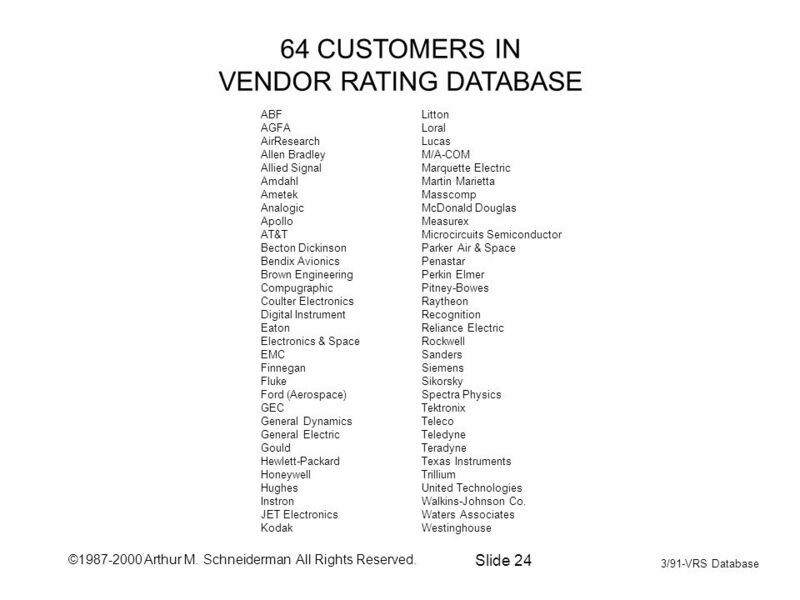 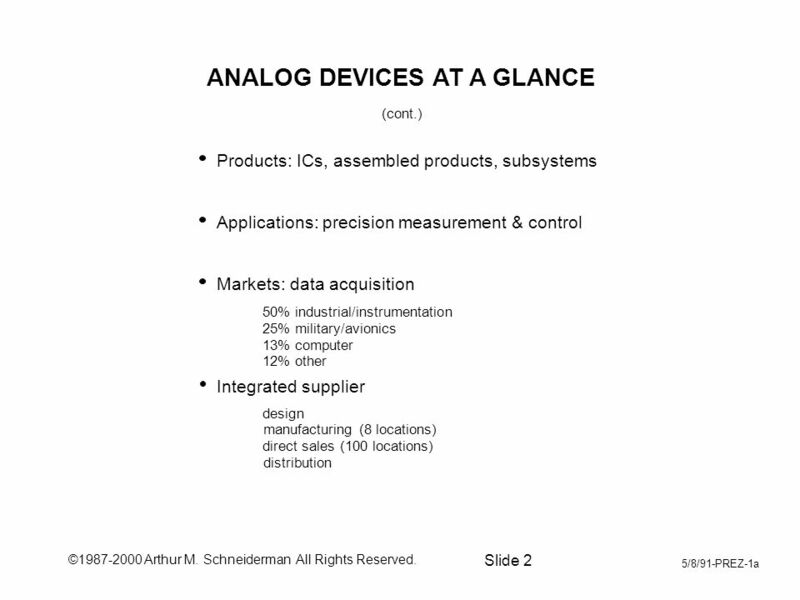 5/7/91 ANALOG DEVICES AT A GLANCE Headquartered in Norwood Massachusetts." 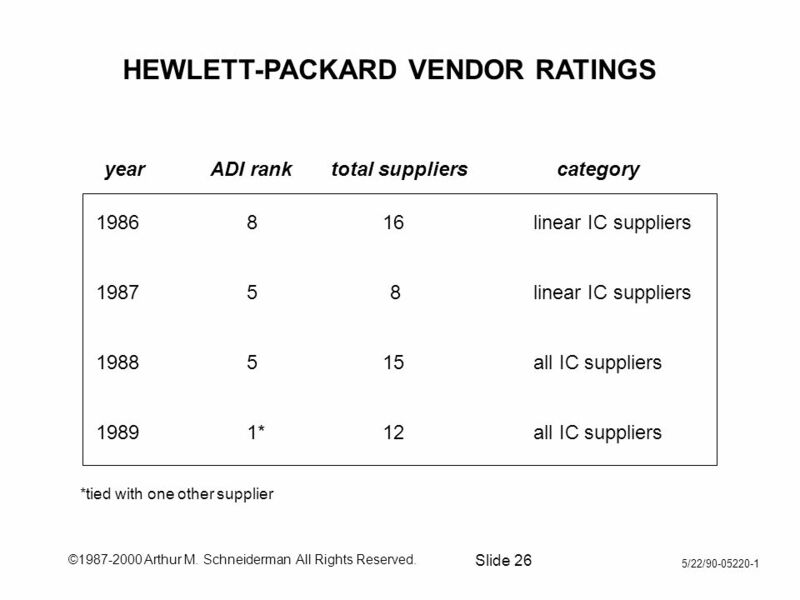 © Arthur M. Schneiderman All Rights Reserved. 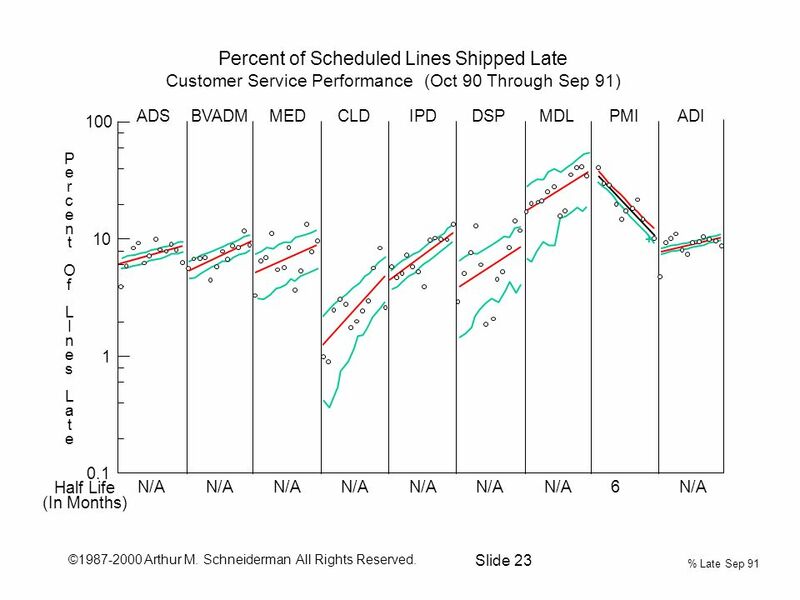 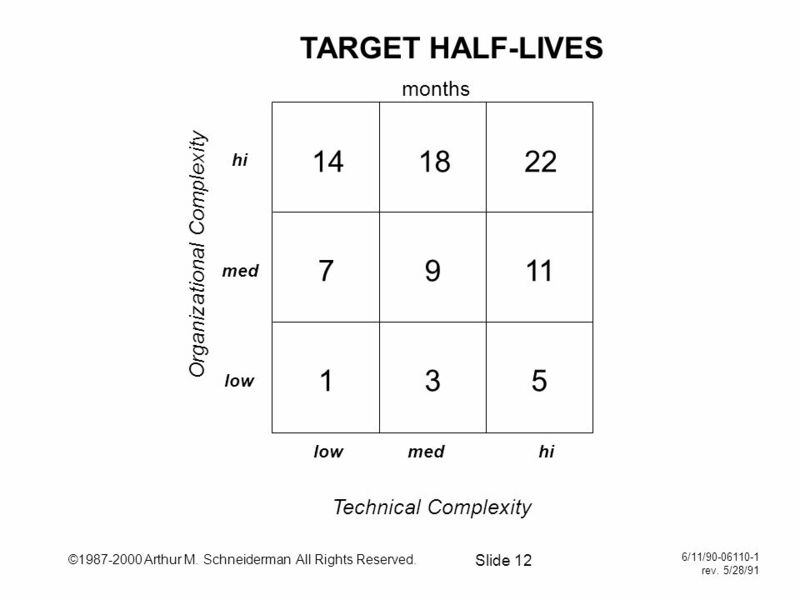 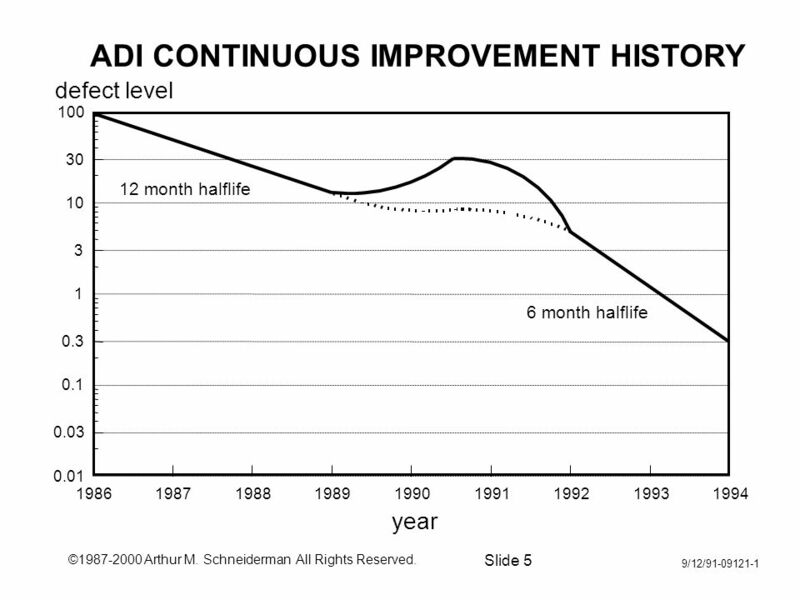 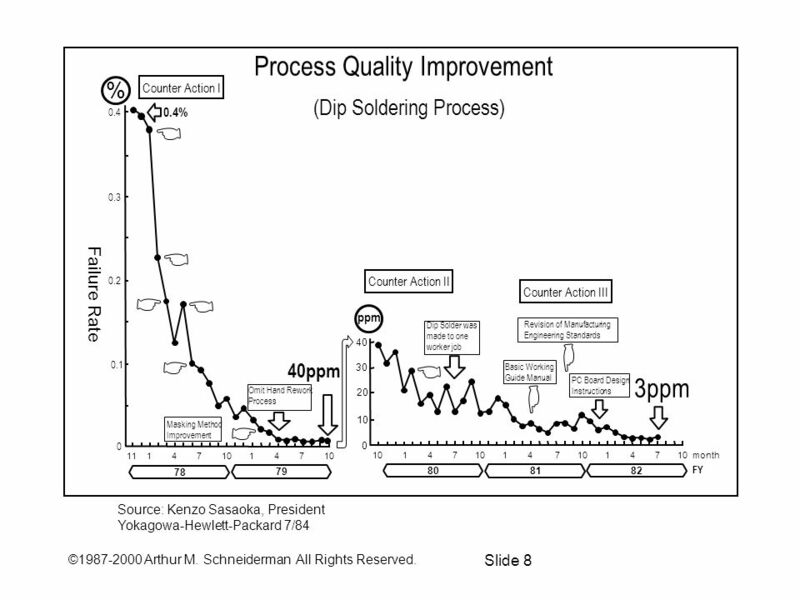 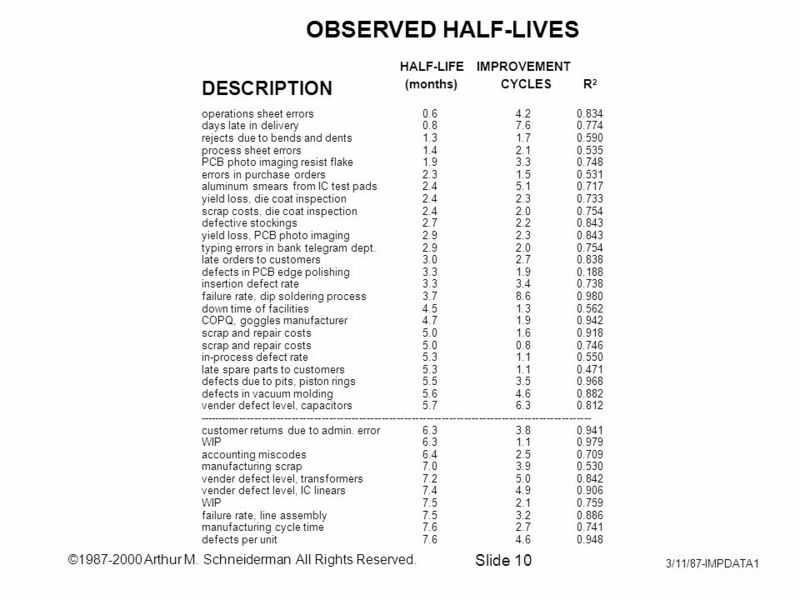 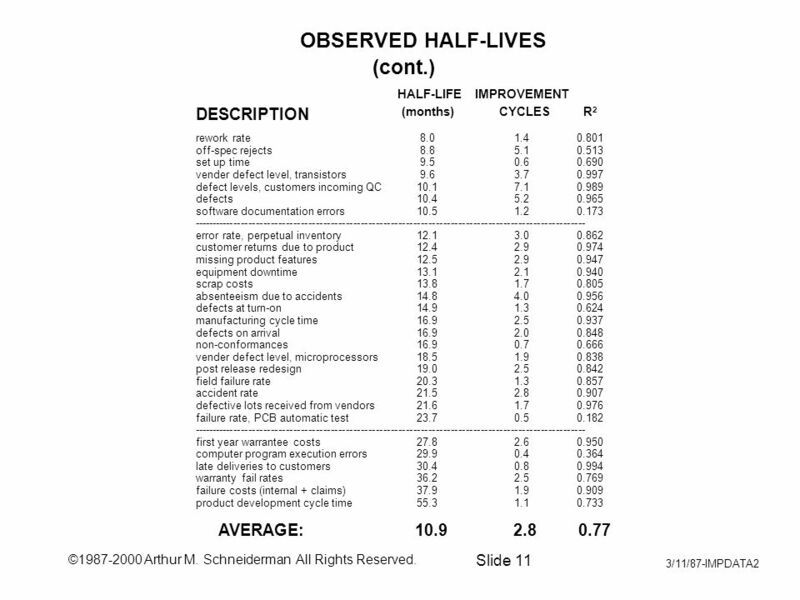 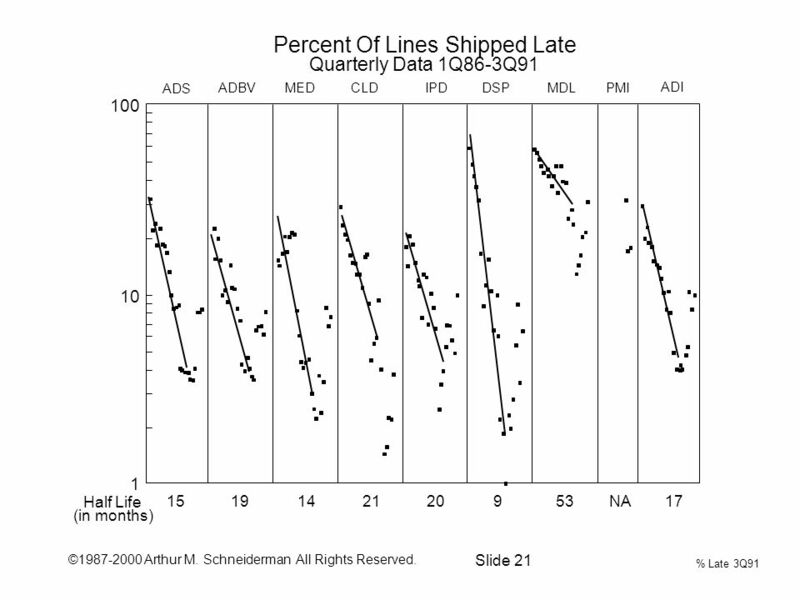 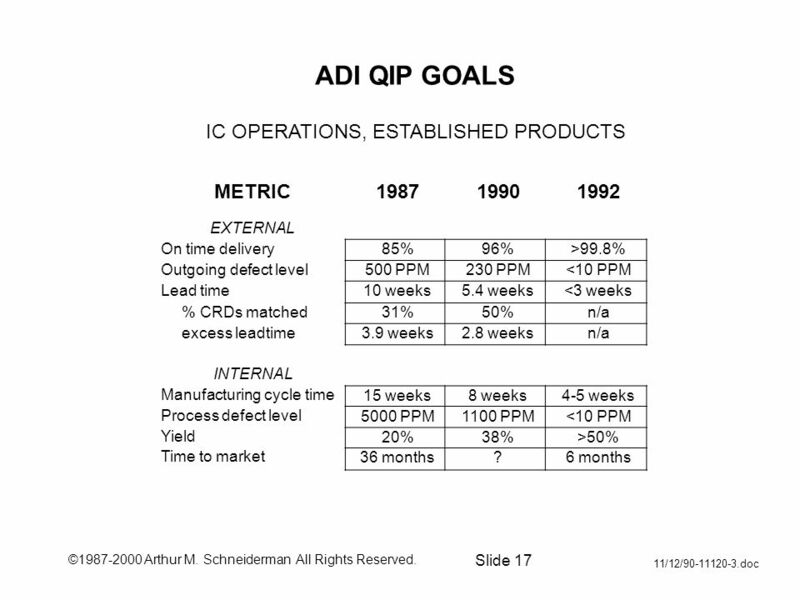 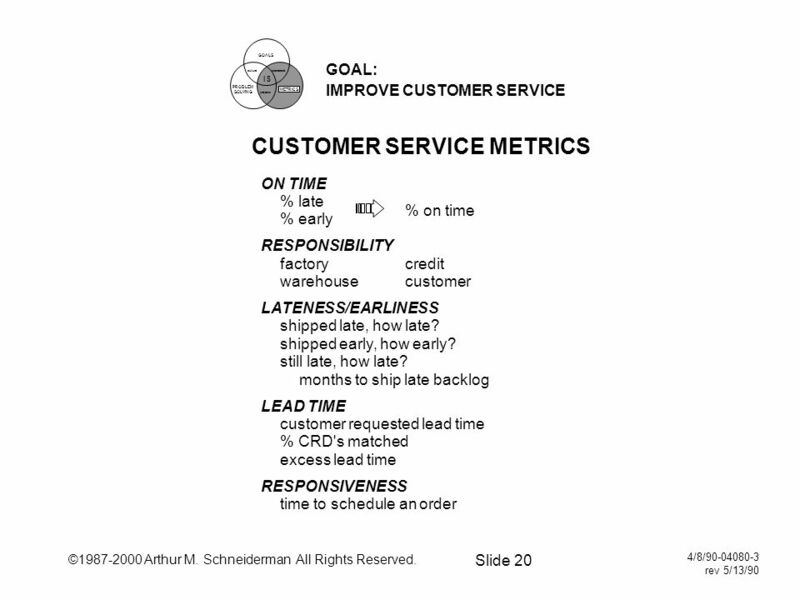 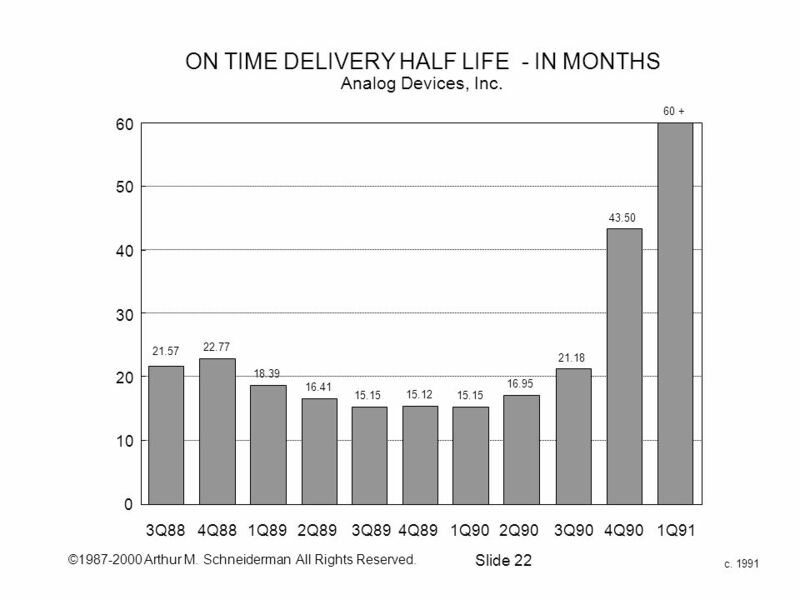 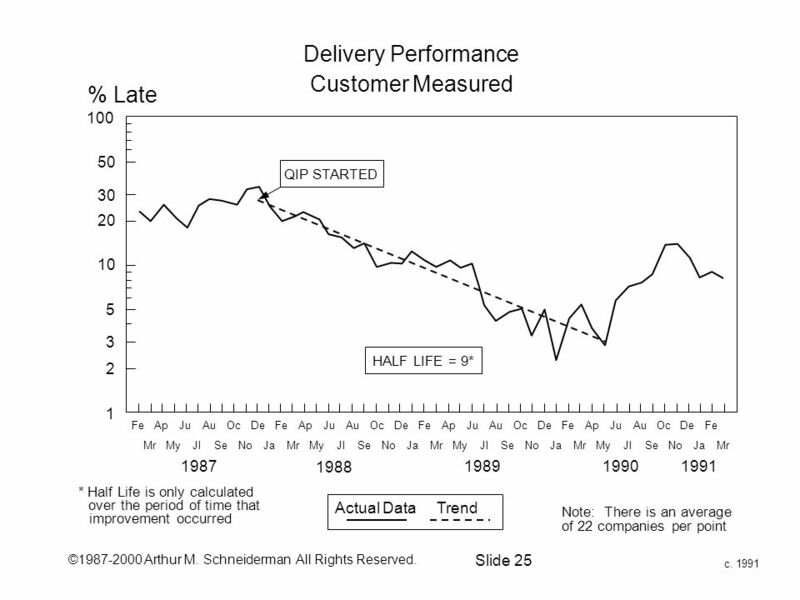 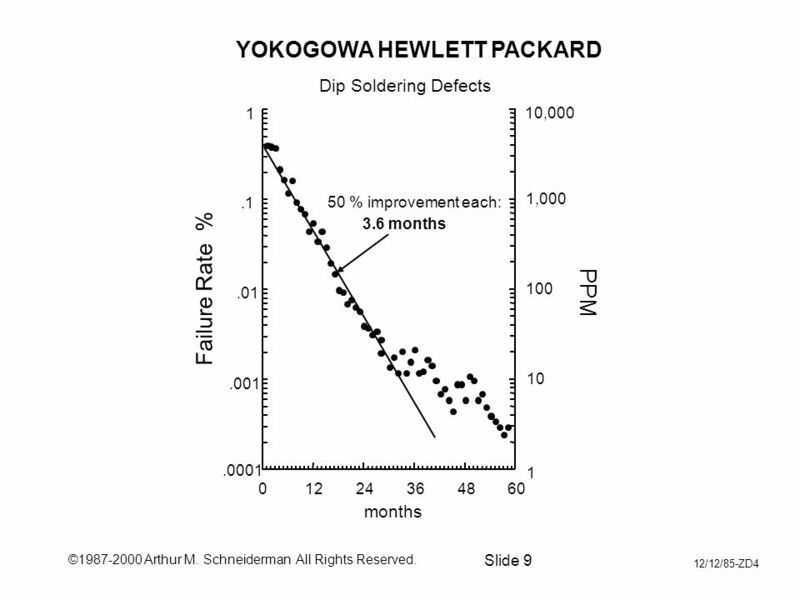 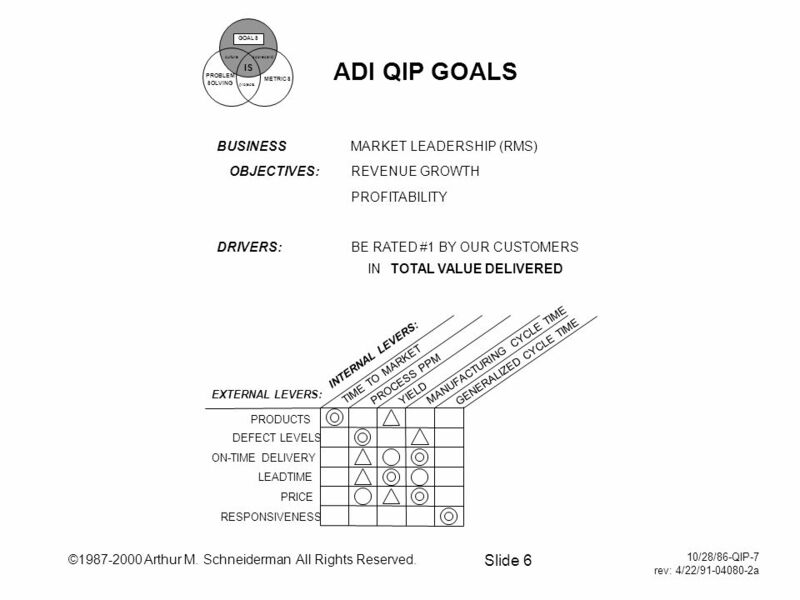 Slide 1 ADI QIP GOALS (IC OPERATIONS) METRIC1987 HALF-LIFE 1992 On time delivery Lead time* Manufacturing.